Back pain is more than discomfort. It can be debilitating. With back pain, it’s difficult to perform normal daily tasks like walking or picking up objects or sitting. The causes of back pain vary and are not always serious. Sometimes back pain is the result of strain or poor posture. In these cases, some rest, stretching and over-the-counter pain medication can help you feel better after a couple of days. However, back pain can also be the sign of a serious condition that requires medical attention. 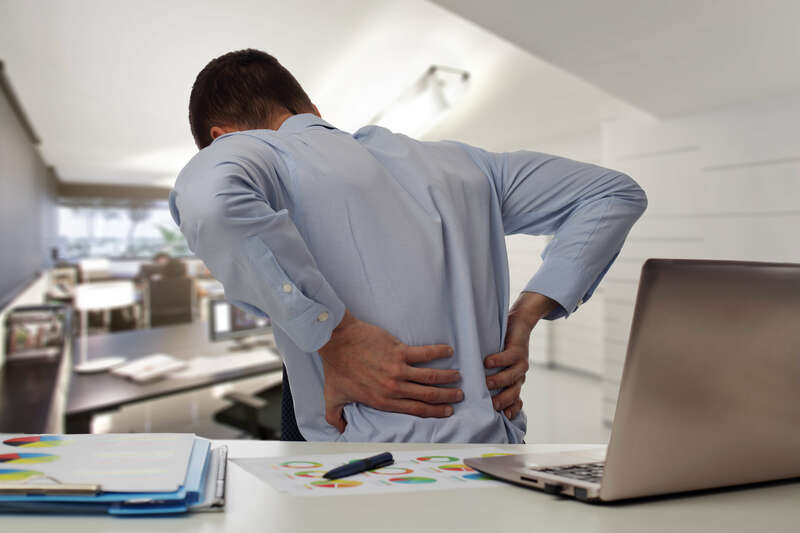 If your back pain is severe, if it lasts for more than a few days or if it is accompanied by other concerning symptoms, you should contact a medical professional for assistance. Slipped or burst disc — The soft discs between your vertebrae serve to cushion your vertebrae and keep them from rubbing against one another. However, these discs can slip or burst, which puts pressure on the nerve in your spine and causes pain instead of preventing pain like they’re supposed to do. Sciatica — The sciatic nerve runs from your lower back into your legs. Pressure on the sciatic nerve in your lower back can cause pain that spreads from your back into one of your legs. Osteoporosis — Osteoporosis causes the bones in your body to grow more brittle and weak. Bones that are weakened are more prone to fractures and other injuries, including the bones in your spine. Arthritis — Arthritis can cause your spinal cord to grow more narrow. This puts pressure on the nerve running through your spine and can cause pain. These are just a few of the conditions that can cause severe back pain. Other conditions like scoliosis, degenerative bone disease or cancer can cause pain and loss of mobility in your spine. These conditions can grow worse over time if left untreated and eventually lead to permanent disability. If your back pain is severe and chronic, or if you’re not sure, don’t hesitate to reach out to your health care provider for an assessment. At Armor Physical Therapy, our physical therapists are experienced in helping patients to reduce their back pain and restore their mobility. By strengthening and stretching the muscles and ligaments that support your spine, you can begin to feel like yourself again. Would you like to speak with a physical therapist at Armor Physical Therapy about treating your back pain? Contact us today to discover what we can do for you.